A campaign has been growing to get Maine's university system to source more of the food it serves from local producers. A coalition of food, farming, and advocacy groups, along with students and faculty in the UMaine system, are pushing for more Maine-sourced products, from meat to grains. The various groups are working together under the banner of Maine Food for the UMaine System. The proposal comes as a $12.5 million, 10-year food service contract with the massive food provider Aramark is nearing its end (it expires June 30, 2016) for six of the seven UMaine campuses; the university system is in the midst of the process of selecting a new vendor. The group’s lobbying efforts for more Maine-sourced food began back in 2013, after Farm to Institution New England (FINE) – a six-state coalition of organizations working to increase local food in various institutions – learned the contract was nearing its end. 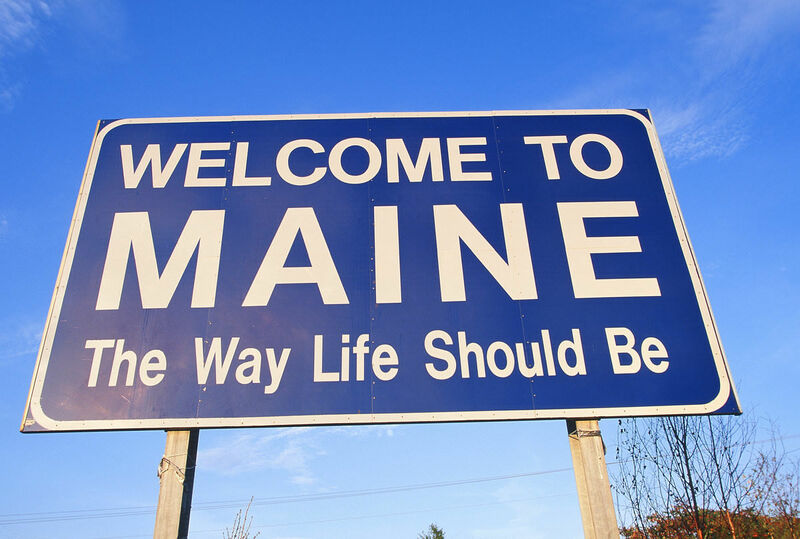 The hope is that the university would include language in the new contract that would force the winning company to source a certain amount of products from Maine. A university spokesman told the Maine Public Broadcasting Network that university officials had been meeting with members of the group and are making sourcing local food “a priority,” but that there are other important factors, such as cost, that need to be considered. The push on campuses for local and sustainable foods has been gaining ground over the last few years, and in some cases is being driven as much by the institutions as the students and faculty. While UMaine is touting that it already supports local farms and food companies – it recently purchased several thousand pounds of local beef, and says 12 percent of the produce it uses is from Maine farms, up from 9 percent in 2013 – Maine Food for the UMaine System wants to see the number upped even higher, to 20 percent by 2020. The group also wants to see 20 percent of the food the system sells be “real food” from sustainable sources. “Real food” is defined by the Real Food Challenge as food that truly nourishes producers, consumers, communities and the Earth and is local/community-based, fair, ecologically sound, and/or humanely produced, and is currently being used by 194 U.S. universities or colleges to guide food procurement. At the main UMaine campus in Orono, which is under a separate contract, the numbers are even higher, with 18 percent of its food and drinks coming from the state, according to the Portland Press Herald. Those behind the plan say the move would not just be good for local farmers’ bottom lines but would also boost the prestige of local agriculture. “It should not be understated that making a significant commitment to purchasing local foods would be a bold statement from one of Maine’s most recognizable institutions to its students, its employees, and the general public that it values and supports Maine’s businesses and communities,” says Marla S. O’Byrne, senior vice president for the Maine Farmland Trust, an organization that protects farmland and is involved in the campaign. O’Bryne says that with “great opportunity there are great challenges,” which includes the ability for Maine farms to scale up, the need for more quality farmland, and improvements in the supply chain in order to provide the university system’s needs. “If the UMaine System does make a quantifiable commitment to sourcing more real foods from local farms, there are many partners prepared to commit significant time and resources to overcome the challenges,” she tells Modern Farmer in an email. You can put your two cents in on the issue here. The university has included the stipulation in its request for proposal: Twenty percent of the food used by the winning food service contractor must be locally sourced by the year 2020, starting with a minimum of 15 percent the first year and increasing by one percent each ensuing year.